The more Henry’s diagnosis sank in, the sadder and angrier I became. It seemed unfair. It seemed unjust. He didn’t deserve this, and neither did we. I never thought I’d be having this conversation with my wife. We’d recently learned that our beautiful, smiling two-year-old son Henry has a serious and lifelong genetic disorder. Henry has a variant of RETT Syndrome, a cruel condition that prevents his brain from controlling his body and mind. Doctors have told us that unless a transformative treatment is found, Henry’s physical and cognitive abilities will be severely limited. It’s not just that he likely won’t walk or talk and may be confined to a wheelchair, but doctors say he won’t understand what a wheelchair is, let alone how to operate it. I asked a specialist who has treated both girls and boys with RETT (it’s far more common in girls) if Henry would eventually be able to do things like go to the bathroom by himself. It was clear from the sympathetic nods of two other doctors in the room that they didn’t think Henry would be able to accomplish any of those steps, let alone all of them in concert. “Think of it this way: The care you’re giving him now, that’s what it will be like going forward, the same level of care,” another doctor explained. The future frightens us. I don’t mind playing baby games with Henry — even as he gets older — but I don’t want to have to shave him one day. But Henry’s only two, and acts more like an 8 or 9 month old. They also told us he could have a full, or nearly full, life expectancy. Mary and I are still coming to terms with the fact that we have a child who will grow in size, but may not really grow up. The future frightens us. I don’t mind playing baby games with Henry — even as he gets older — but I don’t want to have to shave him one day. We hope science comes to the rescue before then. The more Henry’s diagnosis sank in, the sadder, and angrier I became. It seemed unfair. It seemed unjust. He didn’t deserve this, and neither did we. 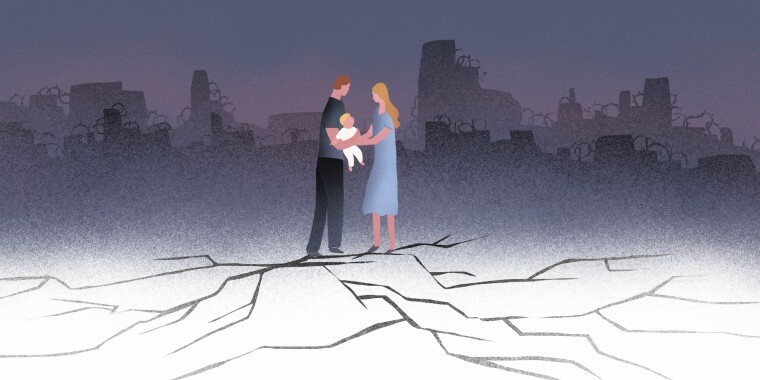 I’d decided to get married and try to have a family while I was being held hostage by dangerous men in Syria. It was a promise I made to myself. When I got out, I proposed to Mary and we soon had Henry. Now, it all seemed like some bad joke, an Old Testament test. After the diagnosis, I started looking at other children and their families differently — with envy. I felt that other parents were coasting through life without any idea of how good or how easy they had it, even though deep down I know full well that every family struggles in its own way. I wanted to seek out other special needs parents and commune with members of my own wounded tribe. Does luck run out? I wondered. I’d been so lucky for so long. Bullets had missed me, artillery too. I’d gotten out of the hands of evil men. But had my luck now run out, floating away for someone else to enjoy like karma? Then it occurred to me. I knew these feelings: These were the symptoms of Post Traumatic Stress Disorder, or PTSD. Covering war zones for over 20 years has put me in close contact with PTSD. I’ve drank from its cup and seen many others struggle with it. Covering war zones for over 20 years has put me in close contact with PTSD. I’ve drank from its cup and seen many others struggle with it. Was it possible that some of the lessons I’d learned from war could help Mary, me and ultimately Henry, get through this? In my experience, PTSD impacts every person a little differently. Some become withdrawn. Others rage. Some turn to drugs and alcohol, or find they can no longer handle responsibility or hold down a job. Some can’t sleep, or have nightmares, or can’t distinguish dreams and reality. Mary and I often have the same vivid dream of Henry walking and talking. It’s so lucid that sometimes I almost expect to find him standing up in his crib in the morning and telling me hello. Instead he’s usually on his belly with his mouth open. Sometimes I try to close it. I push his chin up. It sinks down again. I worry his mouth will dry out. PTSD, to me, is like trauma’s hangover. I know that if I drink a half bottle of scotch, I can expect to feel lousy in the morning. Anticipating my symptoms doesn’t make them go away, but at least they’re not intimidating; they’re expected. In the same way I suggested to Mary that we try to figure out our own particular symptoms, that way when we feel them coming on, we can fight to prevent them from dragging us under. Mary and I often have the same vivid dream of Henry walking and talking. It’s so lucid that sometimes I almost expect to find him standing up in his crib in the morning. Mary thought my analogy of over-drinking was stupid and irrelevant. (It had usually gone over well when I told it to young soldiers in Iraq or Afghanistan.) So I changed course, and noted that my PTSD symptoms tended to be anger, a tendency to withdraw and a feeling of what I call Too Much Perspective. Her ears perked up with that one. Mary said she found it unbearable to listen to other mothers complain about their kids making a mess or running them ragged. “At least you don’t have to chase Henry around,” a mother had told her in a poor attempt at making her feel better. As if chasing a toddler around the house and making sure they don’t stick a fork in an outlet is more difficult than what my wife is doing every day. Mary would do anything to chase Henry around. She’d run after him 24 hours a day if he’d only get up and run. “If your child can walk, I don’t want to hear about your problems,” she said. Having too much perspective can isolate you from the rest of the world. I know that; Mary knows that. And so she takes Henry out to play with other children and sees other parents almost every day, even though it often hurts. We refuse to accept what the doctors have said about Henry’s limitations and talk to him like he understands every word we say. We are determined to fight for him. I’m convinced one day I will see Henry standing up and calling me daddy. It will be the happiest day of my life. We refuse to accept what the doctors have said about Henry’s limitations and talk to him like he understands every word we say. We are determined to fight for him. But in order to help Henry, we have to help ourselves. And that means staying mentally strong. I’ve found that troops with loving and stable families, those who have been smart with their money, and those who are able to talk about their feelings tend to resist PTSD’s downward pull for longer. This resistance is fundamental because the breaking point is terrible: Walking out onto a frozen lake is one thing, but falling through is a whole new level of terrifying. When we first went public with Henry’s condition a few weeks ago, the public response was overwhelmingly positive. Many parents wrote to tell us how they, too, have found themselves struggling in similar situations. Some have it much worse. People opened up to me with their most intimate stories. A mother with a disabled child described the pain of discovering that another baby on the way was also impacted. Would she terminate the pregnancy? If so, she wondered, did that mean she would have ended the life of her special needs child whom she deeply loved if she had only known ahead of time? Others had stories of hope about children who were alive — even walking — in defiance of their doctors’ most pessimistic expectations. Now, I’m not a psychologist and Mary and I are new to the special needs community. We’re trying to figure it out as we go. But I do know a thing or two about PTSD, and I see similarities. Ultimately, understanding PTSD can help you tame it. It won’t make any of us feel better, but perhaps it can keep the ice from breaking beneath our feet. 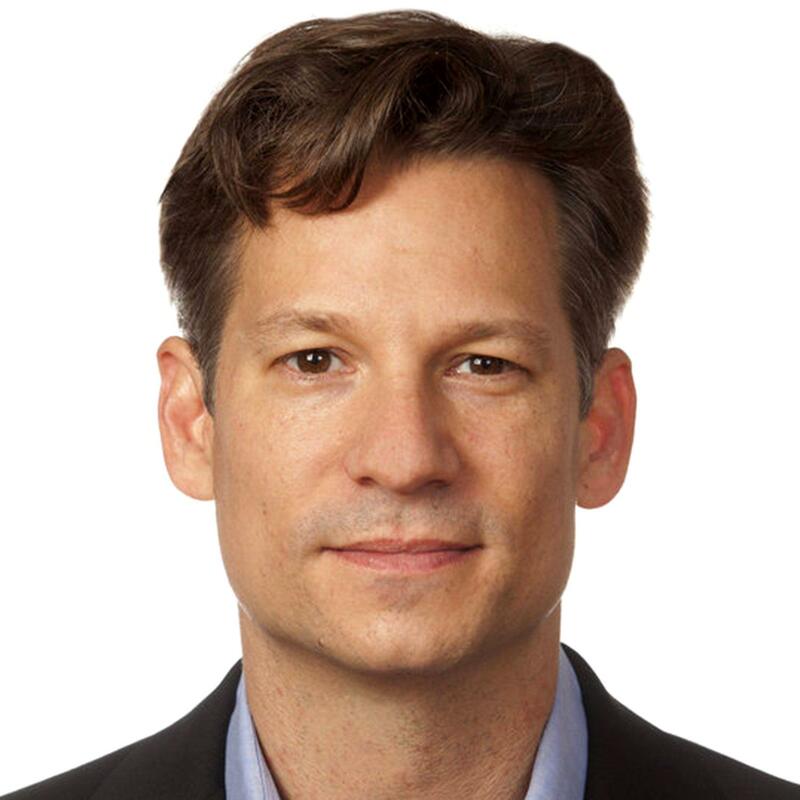 Richard Engel was named chief foreign correspondent of NBC News in April 2008. His reports appear on all platforms of NBC News, including “Nightly News with Lester Holt,” “TODAY,” “Meet the Press,” “Dateline,” MSNBC and NBCNews.com.